Treasure! was the film that got me started in 2003. My equipment wasn’t as good and the circumstances of filming were much more stressful than a quiet interview in controlled conditions, but the event was awesome. 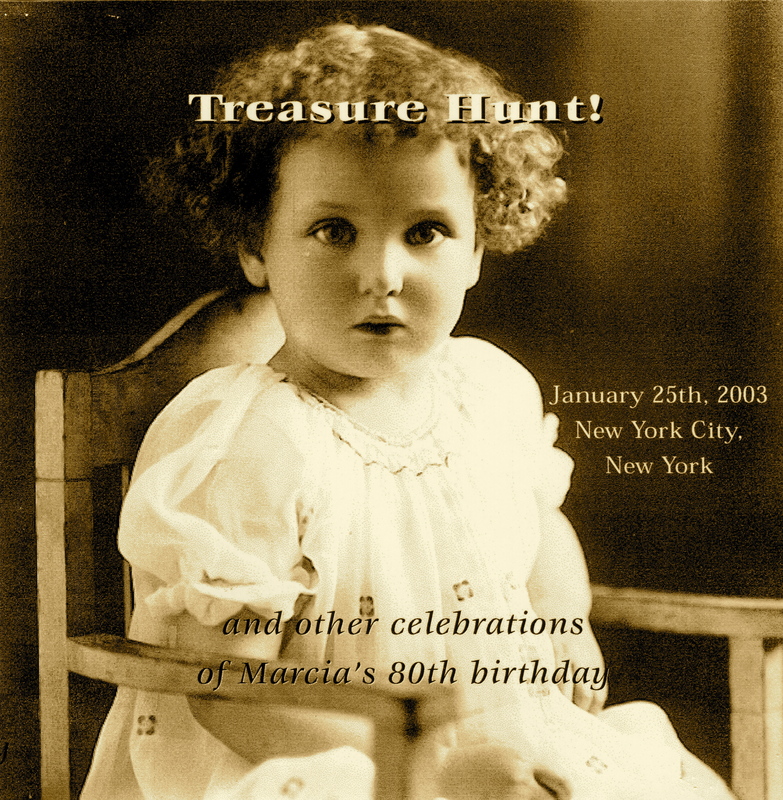 My son Simon, 21 at the time, arranged an extraordinary treasure hunt in Manhattan for his grandmother’s 80th birthday: 3 generations of her friends and family, in 3 waves, made our way from one end of the island to the other, with clues waiting for us at The Explorer’s Club, The Metropolitan Museum of Art, The Natural History Museum, and Columbia University, among other places. The 26-minute film, which I produced on DVD for all who attended, captures the spirit of the day-long event. The link above is to a few clips from this film to give you the flavor. But you can see the whole film here.